Wife of President Buhari, Aisha Buhari, has reportedly ordered the arrest of her own Aide De Camp, Sani Baba-Inna, a chief superintendent of police, for defrauding her. Premiumtimes reports that Mrs Buhari has accused Baba-Inna of receiving huge donations to the tune of N2.5 billion from politicians and business people on her behalf and then kept the cash to himself. Mrs Buhari has allegedly asked the Inspector General of Police, Ibrahim Idris, to arrest and compel Baba-Inna to refund the money. Sources in the presidency reportedly confirmed that the accused police officer, was arrested last Friday September 21st and has remained in detention ever since, with relatives having no access to him, family members say. When Mrs Buhari was informed of the outcome of police investigation, the source said the first lady flared up and accused the police of colluding “to protect one of their own”. She then reportedly asked the State Security Service (SSS) to take over the case and get her money back”. SSS operatives have reportedly taken custody of the accused officer. When called to react to the report, the spokesperson for the SSS, Peter Afunanya and that of the Nigerian Police Force NPF, Jimoh Ibrahim, both denied knowledge of the case. However, the wife of the embattled police officer, Hassana, insists her husband has been arrested and that she has not been able to reach him. 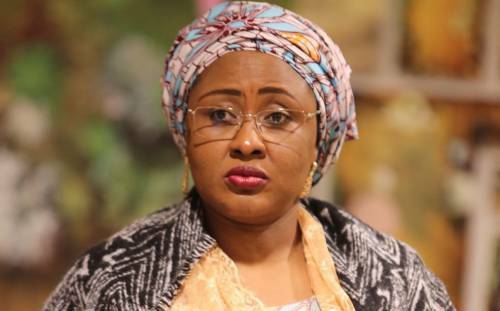 Meanwhile the spokesperson of the wife of the president, Suleiman Haruna, said although he heard about the matter, he was trying to get details from Mrs Buhari, who is currently in New York with her husband for the 73rd UN General Assembly.